The ‘Urb Farm’ is a grassroots community enterprise developing local food growing and healthy eating in an urban environment. The building provides a community and educational facility to enhance our ability to deliver these objectives. The project has been developed in partnership with local residents, community groups, schools and especially groups of young people from the NEET group. The ‘Urb Farm’ is about ‘growing people’. It achieves this through connecting people with good, fresh, locally grown food and by providing opportunities for physical activity and community. Since the inception of the project the client has dreamt of a sustainably constructed building that would provide rooms to host groups of school children and people from the local community, areas to prepare food and learn to cook, spaces to sell and serve the produce. They are trying to make the links between growing, cooking and eating as immediate as possible. 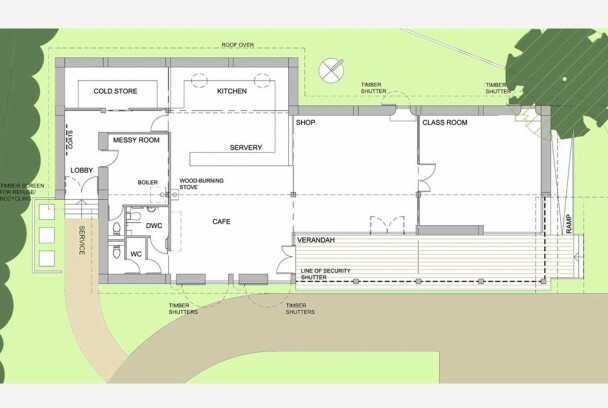 The proposed building provides 200m2 of accommodation and a covered verandah. 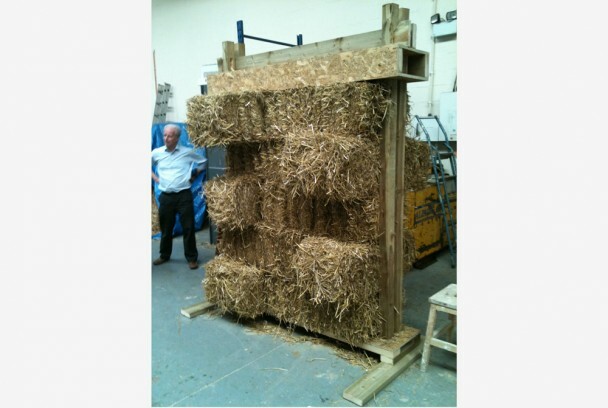 The form of construction is to reflect current good practice for sustainable construction, employing an engineered timber framed with straw bale infill and a ‘green’ sedum roof. 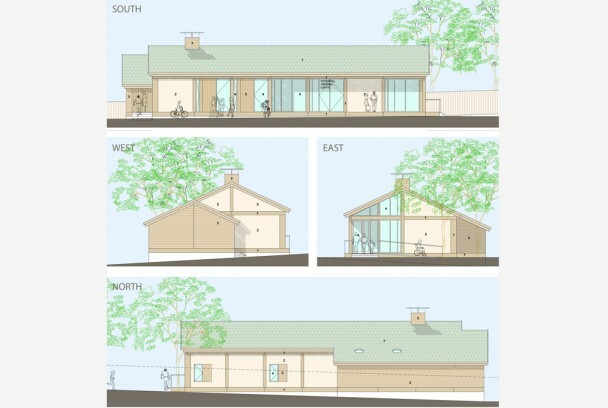 The intention is that other than where specialist trades are required, the construction will be undertaken by the charity and local community. The entrance is from the south facing verandah into the café/shop areas. There is a training class room on the east side of the public shop area. This arrangement provides a degree of separation between the café / kitchen and the training class room and also provides flexibility to interlink these spaces when required. The building heating and hot water will be provided from a bio-diesel boiler and wood burning stove in the café, both discharging to a vent housing located centrally on the ridge.